The Full Tech range from the Superdry Snow collection - designed for max performance with technical fabrics and high water resistance. Superdry men’s Super SD pants. 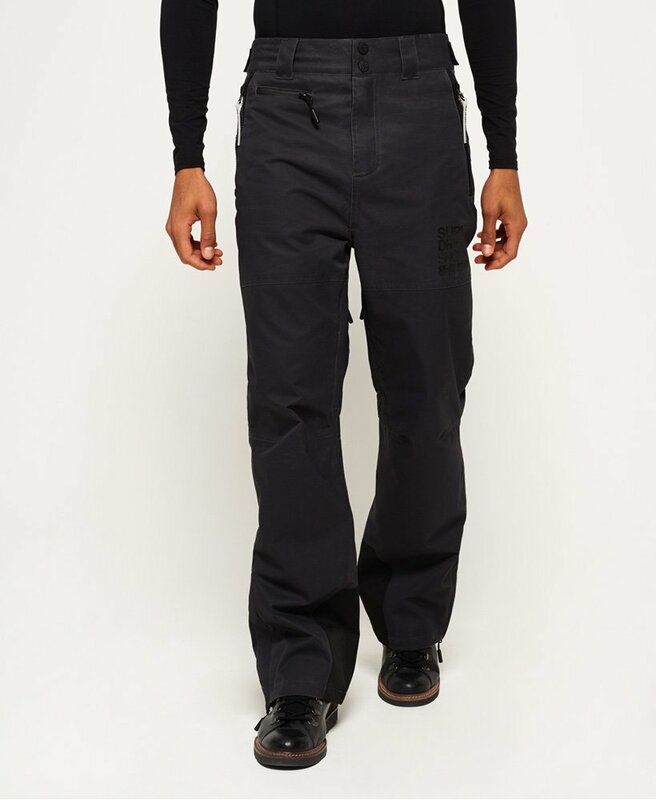 These snow pants come with a zip, popper and hook and loop front fastening, hook and loop waist adjuster straps, a 5-pocket design, zipped hems with boot gaiters and boot clips and practical thigh vents to provide a comfortable fit when on the slopes. The pants also have a fully insulated lining that will help to keep you warm and dry. The Super SD pants are finished with branded zip pulls, a rubber By Superdry logo on the back pocket and branded waist adjusters.